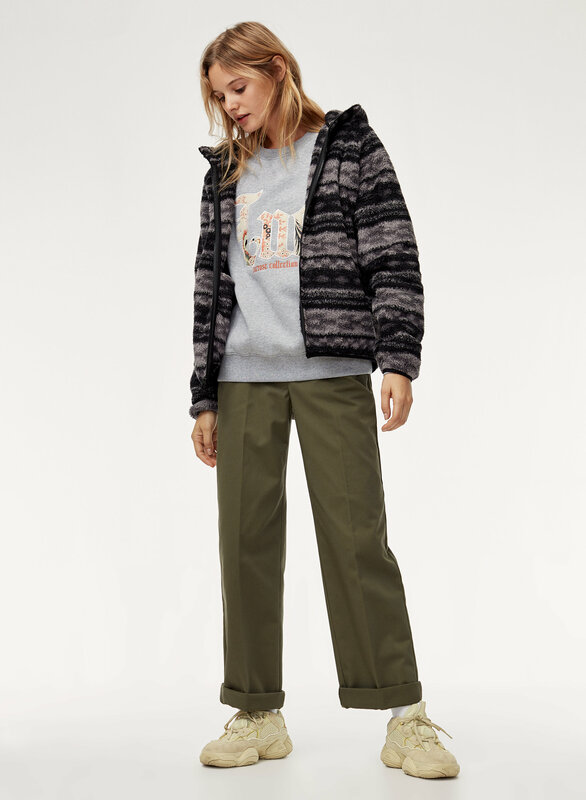 Whether you're walking in the woods or letting Netflix know you're still watching, this super-cozy piece will be your chilly day go-to. 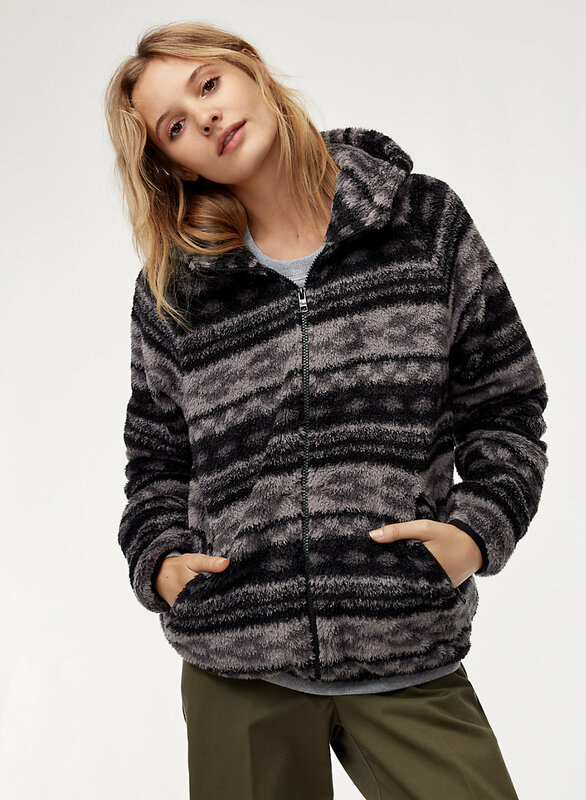 Teddy fabric feels super plush, while a sweater print has retro appeal. So incredibly soft, with the biggest comfiest hood ever. 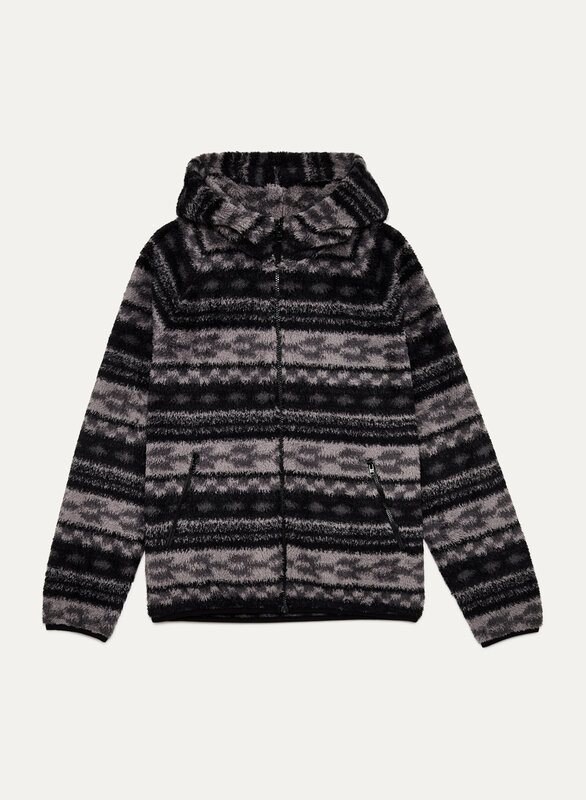 Zips right up to your chin, so really good to layer under a bigger jacket when it’s cold. Pockets are really big, and can be closed with a zipper. Only issue I have with it is the zippers are sometimes a little stiff, but it’s not something that ruins the sweater for me.